Hacktivist group Lulz Security appears to have returned, claiming responsibility for tampering with the website of News International's Sun newspaper as the phone hacking scandal deepens. The Sun's website was taken down temporarily after readers were first redirected to false reports of the death of the media group's beleaguered boss Rupert Murdoch at new-times.co.uk/sun and then to LulzSec's Twitter page. The Times website and the News International corporate website were taken down by the company as a precaution on Monday evening, according to the BBC. 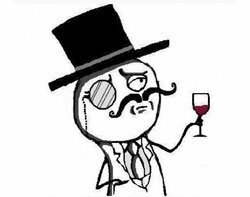 LulzSec, which has previously targeted companies such as Sony, claimed responsibility via Twitter, saying: "So remember that secret pastebin operation... well... new-times.co.uk/sun/ This is only the beginning. F*** YOU MURDOCH. YOU ARE NEXT." Although LulzSec announced it was disbanding last month, the attack on the Sun website is in line with other attacks by the group on targets allegedly involved in corporate wrongdoing or with weak cybersecurity. The attack on the Sun newspaper demonstrated that News International's systems are vulnerable to hackers. In addition to Sony, the group is associated with attacks on Nintendo, US broadcasters Fox and PBS, the CIA, and the US Senate.